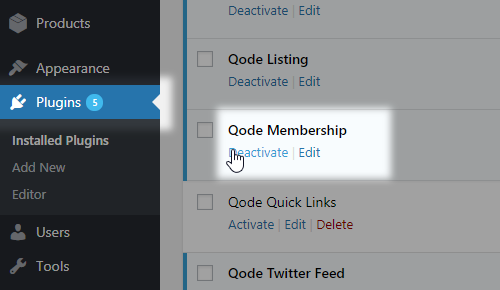 To activate the Qode Membership Plugin, navigate to Plugins from your WordPress Dashboard, find the Qode Membership Plugin in the list and click the "Activate" link. Once you have activated the Qode Membership Plugin, you can start using it by navigating to Appearance > Widgets from your WodPress Dashboard and placing the Qode Login widget into a widget area of your chocice. 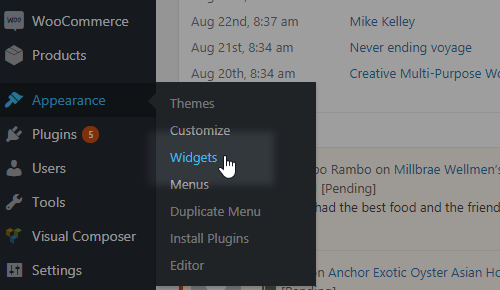 The Login icon will now appear in that widget area on the front-end of your website. When they click on the log in icon, users will be able to choose whether they would like to register a new account or log in. 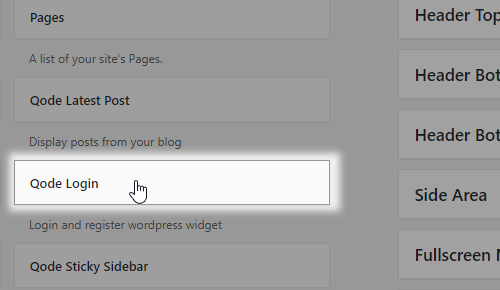 If you would like to let users log in via their Facebook and Google+ profiles, please navigate to Qode Options > Social from your WordPress Dashboard and set the "Enable Social Login" option to "Yes". When you set this option to "Yes", two new fields will appear for enabling Facebook and Google. In order to enable logging in via these networks, you need to create apps for each of the networks and input the App ID and Client ID in the designated fields (which will appear after you enable each of the networks). To learn how to create a Facebook app and find you App ID, please view this link. To learn how to create a Google app and find your Client ID, please view this link.